It has been found from animal studies that eating less prolongs lifespan! Laboratory rats are found to live twice longer than their normal lifespan when fed a very little food. And scientists are puzzled by this fact, because food is taken to live. Then why is it that the less we eat, the longer we live? There is another puzzling fact combined with this: overconsumption accelerates age-related diseases; question is, how? Visit LongevityLetter.com to know more. A research done at Mount Sinai School of Medicine, led by Dr. Charles Mobbs, Ph.D., Prof. of neuroscience and Geriatrics and Palliative Medicine, examines how dietary restriction and a high calorie diet control biochemical responses. The study showed that a lower-calorie diet does slow down the development of conditions like Alzheimer’s disease and also aging process. It doesn’t make any difference what exactly in the diet is restricted, carbohydrates, fats or proteins. On the other hand, a diet high in calories seemingly accelerates age-related disorders by increasing oxidative stress. 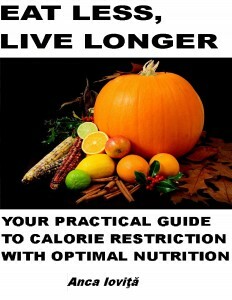 How Does Calorie Restriction Bring about Increase in Lifespan? Because of calorie restriction, a transcription factor known as CRED-binding protein (CBP) is induced. This factor controls the action of genes that manage cellular functions. The study found that an optimal dietary (calorie) restriction, equivalent to a 30% calorie reduction in mammals, heightened lifespan by more than 50% while decelerating the progress of an age-related pathology similar to that of Alzheimer’s disease. The first part of the research studied a species of roundworm, C. elegans, that was altered genetically to develop symptoms similar to Alzheimer’s disease. The scientists found that the worm’s lifespan increased by 65% and there was a decrease in the Alzheimer’s disease-associated paralysis by around 50%. In the second part of the research, effect on the CBP was studied. It was found that diabetes decreases the activation of CBP. The study hypothesizes that calorie restriction induces CBP, and reduces oxidative stress and tissue damage. It’s interesting to note that the calorie restriction evokes CBP only as long as the restriction is maintained and the CBP stimulation may wear off as soon as higher calorie intake starts again. In another study, done by Michael Forster and Raj Sohal, from the University of North Texas Health Science and the University of Southern California’s School of Pharmacy respectively, it was concluded that low caloric intake is not beneficial to everyone, not especially to humans having a normal weight. Dr. Sohal also said that obese persons can probably do better by cutting calories than increasing the amount of exercise to balance their overeating. Excessively vigorous exercise can result in long-term wear and tear and injuries. Don’t start starving yourself! Scientist are trying to create a drug that can mimic the effects of CBP (normally caused by calorie restriction) and increase lifespan. Let’s wait for that magical drug! Till then, eat less but healthy and live well! 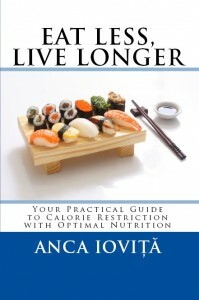 The inspiration of this article is Anca Ioviţă who is the author of “Eat Less Live Longer: Your Practical Guide to Calorie Restriction with Optimal Nutrition” available on Amazon and several other places. If you enjoyed this article, don’t forget to sign up to receive updates on her second book regarding a comparative biography of aging from the simplest to the most complex organisms known. Snoring – How to Reduce it?